Countless commercial and private operations encounter corrosive environmental elements on a daily basis. Ship vessels, tanks, pipelines, and platforms come in contact with seawater that can erode metal parts such as hulls, rudders, keels, heat exchangers and other components. Disrupting the electrical flow properties of the seawater that creates corrosion is essential to prolong the life of metal materials. 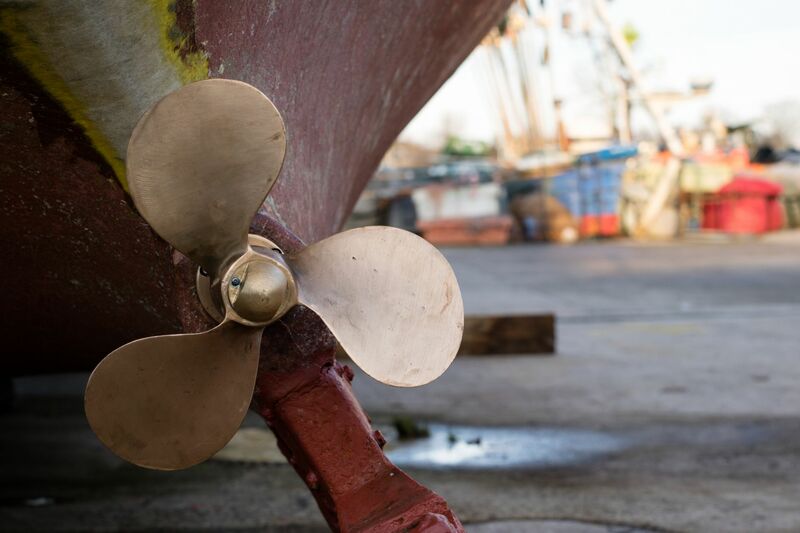 Marine anodes provide protection to metal parts that come in contact with seawater. Marine anodes are made from zinc, aluminum or magnesium with steel or aluminum inserts as they are appropriate for commercial, military and private marine vessels and structures. The anodes have less corrosion resistance than the metal they are attached to as the electrolytes in the saltwater create an electrical current with the anodes instead of the metal vessel. The anodes sacrifice themselves to protect the metal components. Military anodes involve sacrificial anodes that adhere to U.S. military specifications. The metal used to make the anodes have been studied and tested to ensure superior corrosion capabilities by possessing the maximum allowable content for reliable performance. ZHS and ZHC anodes are considered hull plate anodes that can be bolted or welded into place. They possess two galvanized steel mounting straps. These are commonly used for boat and ship hulls, marine engines that are water cooled, boat rudders, propellers, offshore platforms and pipelines. They can also be placed inside storage tanks that are filled with saltwater as the anode protects the internal surface. ZSS anodes are also hull anodes yet they are semi-streamlined. They possess a single galvanized steel strap as the anode is welded in place. Similar to ZHS and ZHC anodes, ZSS anodes can be used on hulls, steel pier piles, rudders, keels, steel pipelines, sea tanks, bilges, and other vessel components. Heat exchangers are used in both heating and cooling applications. The temperatures within fluids are captured by the heat exchanger device and is then transferred over to another liquid. These heat exchangers on marine liners will use seawater and other liquids as the fluid. To make the metal components last longer from corrosion, ZEP anodes are used. ZEP anodes contain the same military specifications to marine hull anodes to ensure the appropriate performance and resilience. ZEP anodes come as thick circular slabs, square slabs and semicircular slabs. They also have a galvanized steel pipe or core. Marine anodes are designed to confirm to specifications based on chemical composition, dimensional requirements, and mechanical properties. Due to the broad range of zinc anodes on the market, you’ll need to determine the right shape, dimensions, and material interactions. Sometimes the anode that you need is not created in the shape that is desired. Here at Belmont Metals, we can create customized marine anodes in the right shape and formula. We also can provide customized straps and sizes. We carry ZHS zinc anodes in 1-1/4″ X 6″ X 12″ and 2-1/2″ x 6″ x 12″ with steel straps, ZHC zinc anodes in 1-1/4″ x 6″ x 12″ and 2 1/2″ x 6″ x 12″ with a core strap and two recessed holes, and ZSS anodes in 1-1/4″ x 3″ x 12″ (11.5 lbs.) and 2 1/2″ x 3 1/2″ x 12″ (24 lbs.) with a steel strap. In addition, we have ZEP style A, B and C in a range of diameters, thicknesses and shapes. Contact the metallurgists at Belmont Metals when you are looking for marine anodes for your commercial, private and military applications. You can find the cathodic sacrificial anodes that will work for your application.